Introduction written by Jazmin Kay: I am an 8-year-old girl in the third grade at my school. Every two years, the third and fourth grade classes have to do reports on explorers. This year, we had to choose from a list of various explorers. We noticed that there were very few women on the list. Some of the girls in my class looked through the books Women Explorers in Africa, Women Explorers in Asia and Women Explorers in Polar Regions. We found many interesting women explorers that people may not have heard of, who should have gotten more credit since they have had many fantastic journeys and taken many dangerous risks on their travels. So some of the girls in my class decided to do their reports on a few of the women in the books, and others did their reports on the women on the original list. The women explorers the girls in my class did reports on were Christina Dodwell, Amelia Earhart, Louise Arner Boyd, Mae C. Jeminson, Mary Kingsley, Ynes Mexia, Sally Ride, Sacajawea, Helen Thayer and Guoriour Porbjarnadottir. I realized that no boys in the class did their reports on women, but some of the girls did reports on men. I thought that some boys should have gotten women because it would be a good experience for them to see that women explored and had many amazing travels. Some girls e-mailed their explorers (if they were still alive). I e-mailed Christina Dodwell with a few of my questions and was excited when she answered. Her e-mails to me are posted below. I was originally going to do my report on several women explorers, but when I read more about Christina, I decided to do my report on her and her interesting life. I think there is a lot we can learn from her travels and experience. I am also inviting my classmates to post their reports on their explorers on this web site (and any other girls out there who may have written something on a women explorer), so you can see how many amazing women explorers there have been in the world. I think there are many lessons that you can learn from these explorers and their stories. I hope you feel the same way and enjoy them! 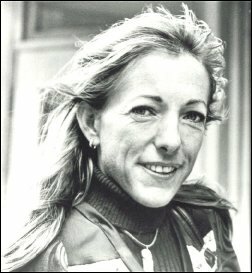 Christina Dodwell was born on February 1st, 1951 in Nigeria, Africa. Then when she was six, her family moved to London, England. She first worked as an Interior Designer. In 1975, at the age of 24, Christina went on vacation to Africa with her friend Lesley Jamieson and two men. Then the two men stole the jeep, leaving them stranded in the wild. They had to walk until they found two wild horses to use to get around. After a week, they found a village and the villagers gave them food. Lesley decided to go back home, but Christina stayed for three years because she found out she loved exploring and she loved the people there. She travelled by horse, camel, elephant and zebra. She spent seven weeks paddling down the Congo River in a dug-out canoe. After completing a 20,000 mile journey in Africa, Christina went back to England. She got bored of normal life and went to explore many other places such as Turkey, Papua New Guinea, China, Greece and others. She had many exciting adventures such as being arrested as a spy, learning African skills, being thrown off a horse, sunk into a swamp and much more. She wrote many books about her travels. She now lives on a farm in Monmouthshire, England but still travels and much of her time is spent in Africa. In 1995, she founded a charity called The Dodwell Trust to help the people of Madagascar. When I first started my report, it was on several women, then after I read more about Christina's interesting life, I decided to focus on her. She has inspired people with her books, films and her documentaries for T.V. and radio, as well as her charity work in Madagascar. The other lesson we can learn from her is that something good can come from something bad - if those two men hadn't stolen her jeep, she wouldn't have done all the wonderful things she did in her life. Great to hear that you are interested in my explorations. To give you an idea about my various journeys I attach my book list. 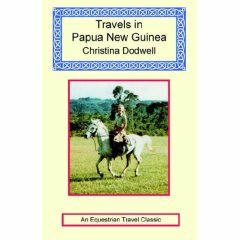 One of my favourite journeys was doing the book A Traveller on Horseback - Eastern Turkey, and another was Travels in Papua New Guinea. If you'd like to get a copy of the first, it is quickly available through www.horsetravelbooks.com. The second can be quickly found via www.classictravelbooks.com. For info about what I've been doing recently, please see the attached interview written by a magazine-journalist recently. For the clothes, I usually wore my hair in a bun to look like a school-teacher, with long skirt and short-sleeve shirt, and felt hat. Though in the Turkey ride I dressed as a local man, with cord cap to hide my hair. Good luck with the project - and do come and volunteer with Dodwell Trust in Madagascar one day. Sorry my slow reply, it's hard to select a scariest moment, each journey has it's times of fear. Slow fear is worse than something which happens fast. In Turkey/Iran, perhaps the arrest in Gonbad, or the one in Kurdistan, was the worst moment. Greatest thing - that is being Head of Project to Madagascar's first radio soap opera which reached ten million listeners and taught them the first-stage steps to reduce poverty. Trouble is, the work is never finished! Good luck with the project. For the spoken presentation, just take a deep breath and talk slowly.I've attached a book cover photo in case it's useful.